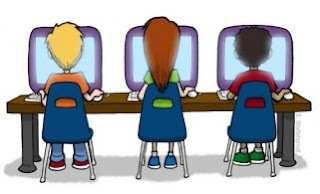 A draft of the classroom screen safety bill sponsored by Delegate Steve Arentz will be available very soon, so please follow @screensandkids for legislative updates. This bill will direct the Maryland Department of Health and Mental Hygiene to create classroom safety guidelines for digital devices. It will protect Maryland students who now face known health risks and avoidable injuries because they are required to use devices every day in school, just as OSHA has protected workers from many of the same issues, since the mid-1990s. Perhaps most concerning are the effects blue light and digital eye strain are having on children. Among parents in the survey, 76.5% indicate their child(ren) receives more than two hours of screen time per day, and 55.6% say their child(ren) experiences at least one of the following after two hours of screen time: headaches; neck/shoulder pain; eye strain, dry or irritated eyes; reduced attention span; poor behavior; or irritability. Too much television time has long been linked to childhood obesity, but a U.S. study suggests that the connection holds true for smaller screens too, such as computers, gaming consoles, tablets and smartphones. Smartphones pose dry-eye risk for kids. New study underscores needs for comprehensive eye exams for school success. Children throwing tantrums should be given time to calm down on their own rather than distracted with tablets or smartphones, say researchers. "It's a big public health issue in many countries," Associate Professor Sankaridurg said.